Come along and learn how to use speedlights, open to people of all ability levels, this workshop will go through a range of techniques showing how versatile and capable speedlights can be for all sorts of situations. I find that many people who avoid using flash, particularly in tricky lighting situations, do so as it looks too harsh and obviously flash lit. This workshop will show you how to use artificial lighting to blend in with the environment and blend with the ambient light. I'll also show you how to use speedlights to mimic natural light when there is none. Jade and I will be going through model direction which is key to getting the best out of your subjects. We'll show what to look out for to get the best start to your shoot. Jade and I will be going through model direction which is key to getting the best out of your subjects. We'll show what to look out for and how to get the best start to your shoot. 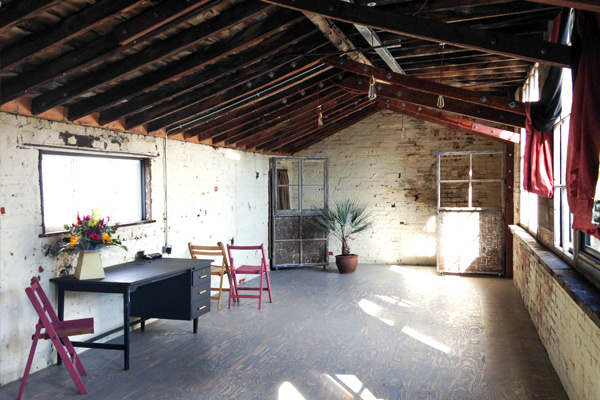 The location is fairly central Brighton, in a lovely studio that has loads of character and reclaimed wood. It has lots of windows for natural light so I will demonstrate how to balance day light with speedlights. Using the ladder and light bulb above. Creating lamp light with a speedlight. Laying on the floor, sofa, furniture lit by flash that looks like window light (useful for spaces without much daylight to replicate it). The last two set ups were very successful at our November Canon workshop hosted for various camera clubs (maybe you were there!). The ladder set up is a whole new idea!